I'll admit, I'm predisposed to loving all things Disney, being born into a family of Disney fans, as I was. And it's true, I'm predisposed to loving all things related to keeping things clean, having OCD and mysophobia*, as I do. 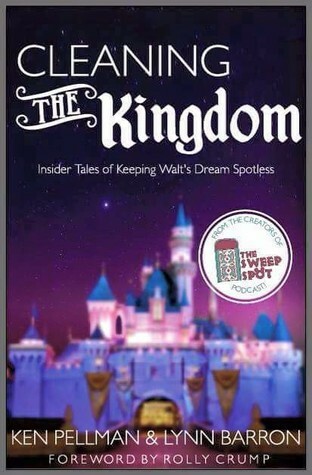 Still I think this book is fascinating to nearly anyone who is at all curious about theme parks in general, Disneyland, what it's like to be a Disney Cast Member, or wondered how the parks maintain that exterior shine of glitter and pixie dust when you just know people are puking after riding teacups, and that many of those thousands of little kids brought in every day are still pretty darn inept at using the potty. Sign into Goodreads to see if any of your friends have read Cleaning the Kingdom.